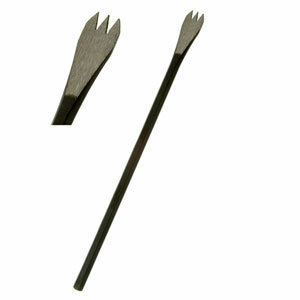 This miniature stone carving chisel is made of 1095-C high carbon steel and has a unique cutting design for small detail work in alabaster and soapstone. Hand forged and hand ground by master craftsmen. Italian hand-crafted equivalent tool Item No. D120. Approximate length - 8" and cutting edge - 1/2".